Howdy. My name is Douglas Anderson. I am the volunteer host of the Sabine County Family History and Genealogy Web site, as part of the TXGenWeb and the USGenWeb Projects. For those who know her, and those that do not, the inspiring, Ms. Barbara Yancy Dore, also known around these parts as the "RootsLady", the previous volunteer host for the Sabine County web site, was an energizing pioneer in the development and marriage of East Texas Genealogy and History to the East Texas Computer. My hat goes off to her for her volunteerism and contributions, so I will do my best to support her legacy. So, WELCOME to SABINE COUNTY! 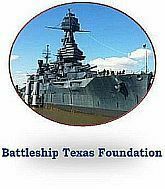 As a volunteer to host the Sabine County, Texas family history website, I welcome your comments, submissions, transcriptions, and suggestions. If you would like to contribute information for presentation on the Sabine County-Family History and Genealogy web site, please let me know. There are many researchers around the globe trying to find that loved one or that special part of their family. I hope this web site will provide the information to make this their last stop. Again, any comments, suggestions, additions, problem reports and criticisms are welcome. Please contact me Douglas Anderson . 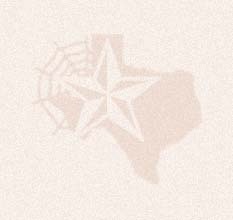 If you would like to host a county in Texas, please contact the TXGenWeb Project Coordinator. You do not have to live in the county your adopting or even the same state. WELCOME. You are visitor since March 8, 2006. What You May NOT Find Here & Why!! Before 1832 the area was part of the Municipality of Nacogdoches. It belonged to the Municipality of San Augustine from 1832 until 1835, when it became the Municipality of Sabine. 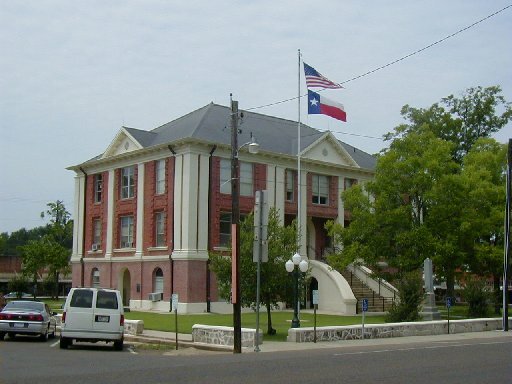 The county seat of Sabine County, Texas is Hemphill. The county population on July 1, 1999, was 10,553, an increase of 967 over the 1990 census. Book Reviews pertaining to Sabine Co.
Sabine County Needs Your Help!! TXSABINE-L Sabine County Discussion Mail List (Free) "Come Join In, Find New Cousins & Old Friends"
I would graciously like to thank and acknowledge RootsWeb for contributing the web space, so that this site may exist. RootsWeb continues to be a valuable source for freely accessable genealogical research. Visit them soon and consider contributing something yourself. Build your own website with a free account on FREEPAGES. visit here. Then if you think Sabine County is worthy of such an honor click here. Thanks for stopping by Sabine County, and come back soon to see what's new. Some things may appear on this front page and at a later date be moved to make room for new and exciting information. Please be sure to add Sabine County to your favorite rounds, link it, and tell others. COPYRIGHT NOTICE: This WEB site and its internal contents, except where otherwise noted on the pages, are copyrighted by Douglas Anderson and may not be copied, altered, converted, retrieved from temporary Internet files, nor uploaded to any electronic system or BBS, nor linked from any "pay-for-view" site, or linked in such a manner as to appear to be an internal part of another site including, but not limited to, "frame" capturing, nor included in any software collection or print collection of any type without the express written permission of the author and artist. Copyright for data submitted for display on this site remains with each submitter of such data and only the presentation, formatting of same and/or additions is reserved by the webmaster. Copyright © 2001-2007. Any copyright abuse should be reported to the webmaster, CCTXSabine@sbcglobal.net .